We use a variety or waterproofing products and systems for homeowners needing effective water mitigation. While foundation repair will fix structural issues, there are many other problems associated with water surrounding the property, foundation, or basement walls. Below is a list of products we carry to provide efficient waterproofing solutions. When you have residential or commercial waste water issues, you can count on Zoeller® Sump Pumps to deliver the very best solutions—our commitment to top quality offers you years of service and durability. Municipal waste water solutions require an experienced engineering team committed to developing detailed specifications to handle your most demanding applications. Zoeller® engineers provide innovative solutions to effectively meet your project objectives. With a variety of pumps available from different product lines with different specialties, no water problem is too large for a Zoeller® pump. 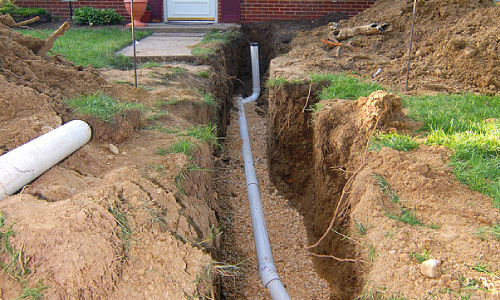 Exterior drains are installed on the outside of your foundation wall, with pipes extending outward to a safer location. It effectively redirects water away from your foundation to avoid the threat of basement leaks, foundation leaks, and expansion/contraction soil (the cause of sinking foundation problems). A small section of the pipe allows water to enter, encasing it within the pipe, and then naturally flowing to the destination of the pipe. Exterior drains are additional water protection for your foundation walls. 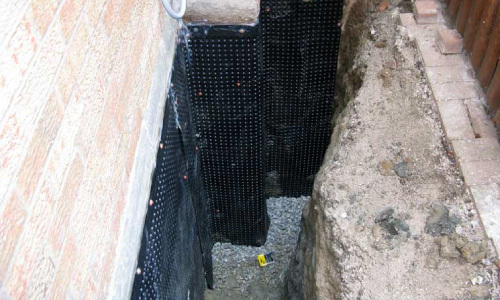 When installed, this waterproofing membrane becomes a protective barrier along the exterior of your foundation or basement wall. 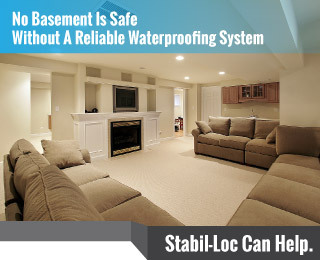 The membrane is a thin, waterproof material that protects the outside of your basement walls from leaks or intrusions of moisture from the build up of water around your home. Porous concrete, mason walls, or wall cracks, are susceptible to water leaks and this exterior system will prevent leaks from entering inside your wall with the aid of draining systems. 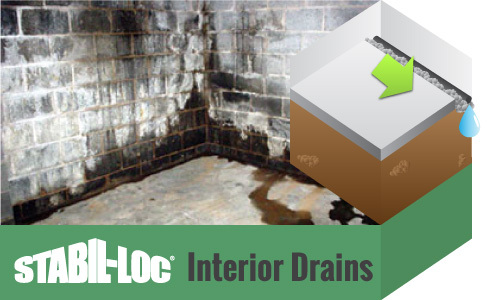 Interior drains or drain tile system is installed around the perimeter of your basement floors below the cove joint. Water can drain into the system from the walls, floors, and from leaking windows, and then redirected into a sump pump for draining through your home/business main water line. It’s the most effective water mitigation other than a sump pump, that works with your own plumbing to remove the threat of basement floods.